No matter how you booking your next trip with medical oxygen we are here 24/7 for all your medical oxygen needs. Via phone, email or our website and blog contact our OxygenWorldwide team today for a quote, proposal and guidance on your next trip anywhere in the world. 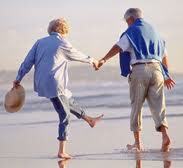 At OxygenWorldwide no matter how young we will take care. Respiratory diseases are amongst all ages and therefore we are a service that takes this into consideration. You may be travelling to Disneyland in America or to your holiday retreat in Spain but what ever destination you choose we will make sure your care is in good hands. A recent study proposed the idea that damage to our DNA at the telomeres contributes to lung ageing, continuing damage and worsening COPD symptoms. Also that cigarette smoke increases and encourages such damage to the telomeres. Telomeres are specialized structures at the ends of chromosomes within our DNA that protect it from deterioration and prevent fusing with nearby chromosomes. COPD has long been associated with accelerated lung aging and abnormal cell division. Telomeres shorten with each cell division, therefore the more the cell divides the less protection the DNA strands have. In a newer study they investigated telomere dysfunction in lung airway cells from patients with COPD using lung aging mouse models exposed to cigarette smoke. They found that there was no difference in telomere length between control patients and COPD patients, which contradicts the previous study although they say that this could be due to a small sample size and will need to be repeated with a larger amount of samples. With age they observed an increase in telomere dysfunction and that this was also increased with exposure to cigarette smoke. They found that the cigarette smoke accelerated the telomere dysfunction by increasing levels of reactive oxygen species (free radicals) and aided in the secretion of inflammatory cytokines. As a result, the team highlighted that their findings suggest that telomeres are particularly susceptible to damage triggered by cigarette smoke, and that this may lead to an accelerated decline of lung function in both aging and COPD patients. So whether you have COPD or have normal respiratory health, exposure to cigarette smoke will trigger telomere dysfunction, affecting the DNA within the cells and causing damage to the cells in your lungs. And thereby reducing respiratory function in the elderly and worsening symptoms in COPD patients. This study suggests that the elderly and patients suffering from respiratory illness should not only stop smoking but also not be around other smokers in order to preserve their respiratory health. Since the patients with even a single episode requiring intubation for severe asthma are at very high risk of recurring life threatening attacks and death, and since most asthma deaths take place at home, it is recommended that patients suffering with severe asthma provide themselves with supplemental oxygen at home for emergency use for possible attacks. Around 1,600 adults and 20 children in the UK die every year from acute asthma. The key to their survival can be as simple as receiving a quick supply of pure oxygen. However asthma sufferers are frequently told by their doctors and other healthcare workers that they do not fit the criteria for a home supply and many local GP surgeries do not hold emergency oxygen cylinders. The research is supported by British Thoracic Society’s guidelines which advise oxygen as a first line treatment for all patients with acute severe asthma. Asthma sufferers feel safer knowing that if oxygen is close to hand they will not only have treatment to save their life but it also reduces the severity of the attack; as stress and anxiety levels are reduced and quick and prompt treatment can halt the attack in its step. An asthma attack may begin suddenly with wheezing, coughing, and shortness of breath. 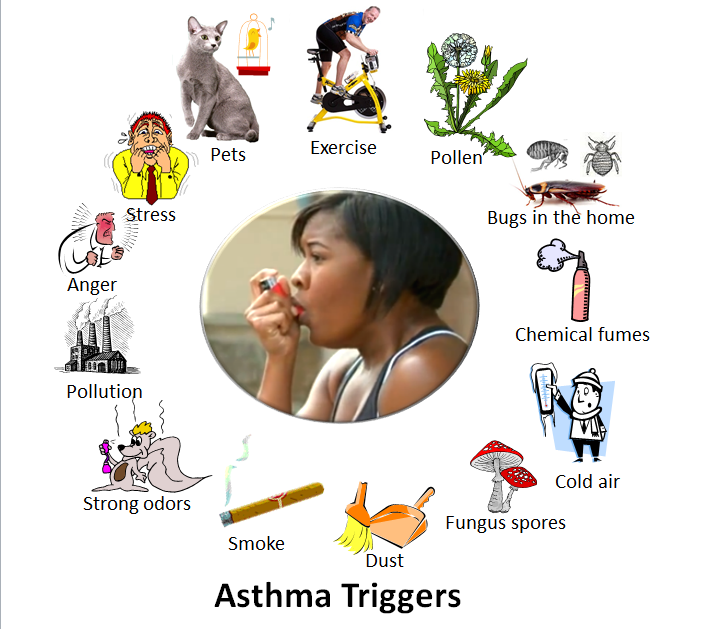 At other times, an asthma attack may come on slowly with gradually worsening symptoms. In either case, people with asthma usually first notice shortness of breath, coughing, or chest tightness. The attack may be over in minutes, or it may last for hours or days. Itching on the chest or neck may be an early symptom, especially in children. A dry cough at night or while exercising may be the only symptom. During an asthma attack, shortness of breath may become severe, creating a feeling of severe anxiety. The person instinctively sits upright and leans forward, using the neck and chest muscles to help in breathing, but still struggles for air. Sweating is a common reaction to the effort and anxiety. The pulse usually quickens, and the person may feel a pounding in the chest. In a very severe asthma attack, a person is able to say only a few words without stopping to take a breath. 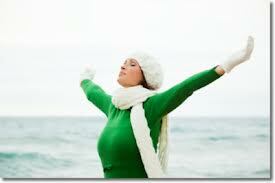 Wheezing may diminish, however, because hardly any air is moving in and out of the lungs. Confusion, lethargy, and a blue skin color are signs that the person’s oxygen supply is severely limited, and emergency treatment is needed. Usually, a person recovers completely with appropriate treatment, even from a severe asthma attack. Rarely, some people develop attacks so quickly that they may lose consciousness before they can give themselves effective therapy. Such people should wear a medical alert bracelet and carry a cellular phone to call for emergency medical assistance. Research suggests a strong link between stress and asthmatic symptoms and experts suggest better treatment, including confident, self management of the condition, could improve the quality of life for asthmatics. The close links between stress and asthma are clear given the potential consequences of untreated attacks. An asthma attack can be frightening, both to the person experiencing it and to others around. Even when relatively mild, the symptoms provoke anxiety and alarm. A severe asthma attack is a life-threatening emergency that requires immediate, skilled, professional care. If not treated adequately and quickly, a severe asthma attack can cause death. People who have a mild asthma attack are usually able to treat it without assistance from a health care practitioner. Typically, they use an inhaler to deliver a dose of a short-acting beta-adrenergic drug such as albuterol , move into fresh air (away from cigarette smoke or other irritants), and sit down and rest. People who have severe symptoms should typically go to an emergency department. For severe attacks, doctors give frequent (or sometimes continuous) treatment using inhaled beta-adrenergic drugs and sometimes anticholinergic drugs. Supplemental oxygen is also given immediately so as to increase the percentage level of oxygen being breathed in to help raise oxygen levels in the blood. An injection that delivers oxygen directly into the bloodstream for patients who cannot breathe has been invented by scientists at Boston Children’s Hospital, according a report published in Science Translational Medicine. The authors explained that when patients suffer from an obstructed airway or acute lung failure, they urgently need oxygen to reach their blood, otherwise they have brain injury or suffer from cardiac arrest. The researchers designed an injection filled with tiny, gas-filled microparticles that can be administered directly into the bloodstream, supplying it with much-needed oxygen. The microparticles are made of a single layer of fatty molecules that surround a miniscule pocket of oxygen – they are placed in a liquid solution and injected into the patients. John Kheir and team say that patients who are injected with this solution, may regain near-normal blood oxygen levels within seconds. In animal experiments, the authors reported that they could beep the animals alive without breathing for 15 minutes, drastically reducing the incidence of organ injury and cardiac arrest (the heart stops completely). The oxygen injection may buy the patient valuable time John Kheir explained that the microparticle solutions are easy to carry around, and could conveniently be utilized to keep people who cannot breathe alive, giving emergency personnel more time to get patients to a safe place where more sophisticated life-saving procedures can be carried out. The authors say the microparticle solution injections could not be used for more than fifteen to thirty minutes, because they contain fluid that would overload the blood if used for any longer. These are not blood substitutes, Kheir stressed. Blood substitutes carry oxygen, but are of limited use when the lungs are not working and cannot oxygenate them. These microparticles are specifically designed for people who cannot breathe. After caring for a young girl who had severe pneumonia in 2006 and suffered severe brain injury because of extremely low blood-oxygen levels, Kheir starting looking into the idea of injectable oxygen. The little girl died before the medical team could get her on a heart-lung machine. They used a sonicator – a device which emits high-intensity sound waves to mix lipids and oxygen together. Oxygen gas gets trapped inside tiny particles, about two to four micrometers in size – too small to see with the naked eye. They found that a solution in which 70% of the volume consisted of oxygen was just right for human blood. In previous studies in the early 1900s, scientists attempted to oxygenate blood with intravenous oxygen, but they failed. Sometimes they caused fatal gas embolisms. Sleep apnea can worsen blood sugar control in people with Type 2 diabetes by disrupting the deepest stage of sleep, a new study suggests. The findings provide another good reason for people with sleep apnea to wear a CPAP mask that helps assure uninterrupted breathing, the standard treatment for the condition, throughout the night. While breathing pauses can occur throughout the night in apnea patients, the new study, published in Diabetes Care, found that episodes that occurred during the rapid eye movement, or REM, phase of sleep had the most detrimental effects on long-term blood sugar control. Most REM sleep occurs in the early morning hours before waking. But research shows that many patients remove their CPAP, or continuous positive airway pressure, mask in the middle of the night because it can feel uncomfortable, said Dr. Babak Mokhlesi, an author of the new study and the director of the sleep disorders center at the University of Chicago. As a result, their apnea is more likely to go untreated during REM sleep, a time that may be particularly important for anyone with diabetes, Dr. Mokhlesi said. It’s time to set goals and new initiatives for yourself in the form of often-made, seldom-followed “New Year’s Resolutions”. We’ve developed some resolutions for people that use medical oxygen and who suffer from breathing conditions. 1. Stop Smoking – This resolution is a no-brainer. A popular resolution every January for smokers, quitting smoking is the easiest way to prevent COPD, and it is the best way to slow the progression of COPD if you already have it. If you have an oxygen tank, then quitting smoking should be even more of a no-brainer, but in case you needed another reason to quit: it is incredibly dangerous to have smoke around a medical oxygen tank. 2. Go on Spontaneous Trips – One of the greatest gifts that a portable oxygen concentrator offers is the potential to do something unplanned. Enjoy that freedom to pick up and go somewhere. Sometimes the easy choice is to stay at home, but you will be happy that you decided to spend an afternoon out, and those closest to you will be happy as well. If you require medical oxygen and aren’t yet enjoying the freedom of a portable oxygen concentrator, then 2014 is the year to start. 3. Connect – Connect with a group or organization of interest. There is great comfort, support, and fun to be had in knowing that you are not the only one living with medical oxygen, a breathing condition, or both. Whether it’s attending an event or making a donation, you’ll feel better after you get involved. 4. Eat better, Exercise better, Live better -This is a very popular resolution, and there’s no reason why you shouldn’t make it one of yours and follow through with it. You might think that since you have your oxygen concentrator, the rest is out of your control. But when it comes to diet & exercise, there are a number of things that you can do to make things easier on yourself. Eating better will not only improve your overall health, but by eating certain foods and avoiding others, you can make breathing easier for yourself. What are your personal New Year’s Resolutions? Share with us which of these 5 resolutions you’ve decided to adopt, and any others that you might have. Recognised globally as a world-leading company in portable concentrators, we offer nothing less than professionalism at the highest standard. Open 24 hours a day, seven days a week, so we are always available to help you with any questions or queries you may have. 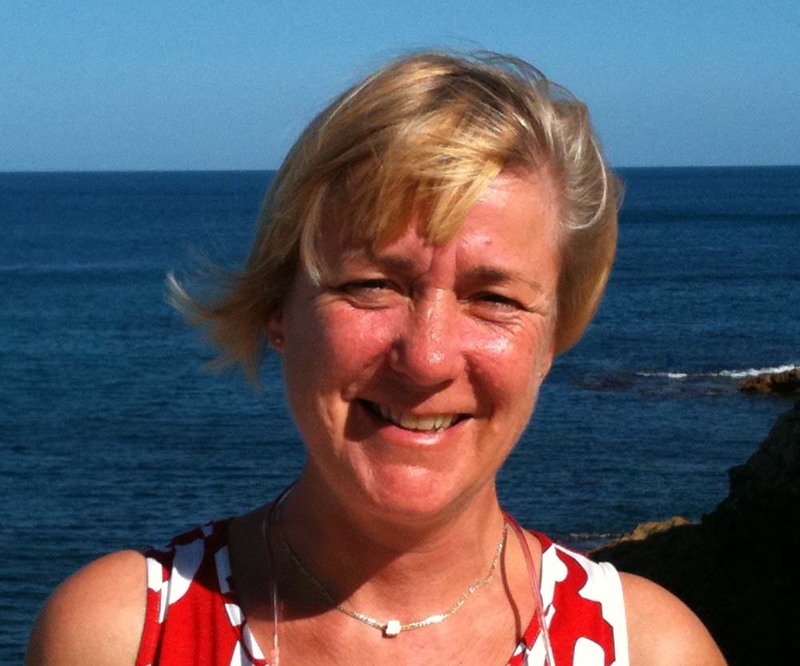 Hi, my name is Irene and I joined the OxygenWorldwide team in October 2011. I come from the Netherlands and moved to Spain in 2002, to take care of my mother who suffered from dementia. In May 2011 she passed away at the blessed age of 93 years. I now care for three dogs, of which two were stray. In my spare time I enjoy taking my dogs on hikes through the stunning mountains or along the beach. I have a keen interest in nature and take part in several environmental groups. What I find the most interesting and satisfying whilst working at OxygenWorldwide is that from one place I can help people from all over the world with their need for oxygen, to take away their worries and make them feel free to travel anywhere and at anytime. It feels like being a spider in a web, able to reach all corners of the world. On a Sunday afternoon once I received a phone call from a patient who was on holiday in Gran Canaria with a portable oxygen concentrator that had broken down. He had already contacted his insurance company back home, but they couldn´t help him any further. It took some urgent calling and emailing, but I managed to find a replacement first thing Monday morning, this shows how quickly we can help our customers in a time of need. There was another occasion recently from a customer who´s portable concentrator broke down just the evening before his flight back home. He did manage to get something for during the flight, but he was so afraid he wouldn´t make it through the night! That same evening we managed to deliver a concentrator to where he was staying, so he could have a good night´s sleep and be fit for his journey home. The strangest request I think was from a patient who wanted to rent a portable oxygen concentrator in Singapore, to be shipped to Japan, so he could take it on his holiday to Singapore and back to Japan again, to then ship it back to Singapore! If I ever get the chance to travel, I would like to see a lot of places, so I think I would opt for a world cruise… in fact, I might book a permanent place, instead of going into an old people´s home when i retire! I am very proud to be celebrating 20 years of OxygenWorldwide this year and hope to be helping more people travel this year. Contact me at info@oxygenworldwide.com for further details and information on travelling with medical oxygen abroad or visit www.oxygenworldwide.com to enquire or read more about our team and how we have been supporting customers for 20 years.